As a re-enactor the Rebel troops charge in with a cheer, but the same cheer as their adversaries, or some silly made up Hollywood type of idea, but there was a difference between the 'Union Cheer' and the 'Rebel Yell'. It was said that the 'Yell' was a'ki-yi','yip-yip-yip', 'woh-who-ey', 'wildcat screech', and a 'banshee squall'. "They staggered, but closed up, and with the familiar "Hi-yi!" returned our fire and pressed forward with the savage courage of baited bulls." Gettysburg 1963. "I heard heavy firing and the rebels 'Yelling' in the direction of the head of Hunting Run, and surmised at once it was an attack on the right of the Eleventh Corps." Chancellorsville 1863. "Our spirited fire, the sight of re-enforcements, and a terrific 'Rebel Yell' combined to strike terror to the foe, and he fled in confusion." Chattanooga 1863. "About 4 o'clock the enemy charged our lines with such impetuosity that he quickly drove our infantry from the woods. With the peculiar 'Rebel Yell' they came on." Mine Run 1864. "Soon the familiar 'Rebel Yell' broke upon the ear, and "see, they come," was the expression of all." North Anna River 1864. "The first rebel line of battle emerged from the woods and came across the open field. This line was followed by two others, and with the true 'Rebel Yell' they came upon us." Peach Tree Creek 1864. The " 'Rebel yell' burst out from the whole line, as all together they dashed at double quick toward the enemy." Texans charging. It was used at other times as well; during Thomas 'Stonewall 'Jackson's Valley Campaign, while in camp, one of the five regiments of the 'Stonewall' Brigade began 'Yelling'. Soon another regiment took it up and this carried on until every member of the entire Brigade doing the 'Yelling', so you can be sure that if one Brigade did something others would as well; other times were on the march with one regiment starting the 'Yell' and it would then carry on down the road with all the others following joining in; it's also said that units would often wake up with the 'Yell'. There is also in existence two recordings of Thomas N Alexander, 37th North Carolina Infantry, who at his first battle at 1st Cold Harbor (Gaines Mill), 1862, heard it. These are dated 1929 and 1932 respectively. One was in the studio of W.B.T. Radio and the other at a 'Sons of Confederate Veterans' meeting. One is a group of veterans, W.B. Kidd, age 84; T.N. Alexander, age 92; D.W. Mayes, age 91; H.C. Irwin, age 90; J.E. Porter, age 96. The other is just by T.N. Alexander. 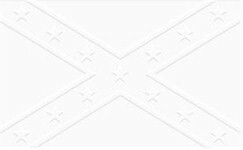 Another recording is supposedly in the possession of the 'United Daughters of the Confederacy' and consists of a wax recording that is held at their national headquarters in Richmond, Virginia. This is recorded on a wax cylinder but there's some debate over whether it was recorded at a Florida 'U.D.C.' Convention, just before the end of the 19th Century, or during the 1930s. It has been acknowledged by them that they do have this recording. Written by an unknown Confederate after the Battle of the Wilderness "At first (the Rebel Yell) heard like the rumbling of a distant train, it came rushing down the lines like the surging waves upon the ocean, increasing in loudness and grandeur, and passing, it could be heard dying on the left in the distance. Again it was heard coming from the right to die away again on the distant left. It was renewed three times, each with renewed vigor. It was a yell like the defiant tones of a thunderstorm." Henry E Tremain, (a Federal soldier on Major General Crooks staff) recalled they attacked "With their peculiar faint cheer." John K. Bucklyn, (a Federal Artilleryman) used almost the same words "With the peculiar rebel yell they came on." Gilbert Adams Hays (a Federal soldier) had this tosay "The peculiarity of the rebel yell is worthy of mention , but none of the old soldiers who heard it once will ever forget it. Instead of the deep-cheated manly cheer of the Union men, the rebel yell was a falsetto yelp which, when heard at a distance, reminded one of a lot of school boys at play. It was a peculiar affair for a battle yell, but though we made fun of it at first, we grew to respect it before the war is over. The yell might sound effeminate, but those who uttered it were not effeminate by any means. When the Union men charged, it was heads erect, shoulders squared and thrown back, and with a firm stride, but when the Johnnies charged, it was with a jog trot in a half bent position, and though they might be met with heavy and blighting volleys, they came on with the pertinacity of bulldogs, filling up gaps and trotting on with their never-ceasing "ki-yi" until we found them face to face." Ambrose Bierce (a Federal soldier/author) wrote "It was the ugliest sound any mortal ever heard." Arthur Freemantle (an English officer) said "The Southern troops, when charging, or to express their delight, always yell in a manner peculiar to themselves. The Yankee cheer is much more like ours; but the Confederate officers declare that the Rebel yell has a particular merit, and always produces a salutary and useful effect upon their adversaries. A Corps is sometimes spoken of as a "good yelling regiment."" Warren Lee Goss (a Federal soldier) informs us that " They charged upon us with their peculiar yell." James Harvie Dew, (a Confederate cavalryman with J.E.B. Stuart) He described the rebel yell "In an instant every voice with one accord vigorously shouted the Rebel yell, which was so often heard on the field of battle...Woh--who--ey! Who--ey! Who--ey! Woh--who--ey! Who--ey!"" Samuel Bradbury (a Federal engineer) on charging Rebels said "And the Rebs a yelling as they came up on the charge with that peculiar yell they have. It sounds like a lot of school boys just let loose." George T Stevens (Federal soldier) talks of "The vigorous manly cheers of the Northern soldiers, so different from the shrill yell of the Rebels." Newton Kirk (a Federal soldier) "The shrill yells of the Rebels, mingled with the hoarser cheers of our own men." A doctor of the 4th New York remembered that "Suddenly out of the dusk in front, and to the rear of us, burst the Ki-yi Ki-yi close to us and with it the Rebels were seen." Sidney Lanier (a Confederate soldier/poet) described it as "A single long cry as from the leader of a pack of hounds.... a dry harsh quality that conveys an uncompromising hostility....a howl, a hoarse battle-cry, a cheer, and a congratulation, all in one." Keller Anderson of Kentucky’s 'Orphan' Brigade "Then arose that do-or-die expression, that maniacal maelstrom of sound; that penetrating, rasping, shrieking, blood-curling noise that could be heard for miles..."
New Orleans 'Times Picayune' reporter "It paragons description, that yell! How it starts deep and ends high, how it rises into three increasing crescendos and breaks with a command of battle." Thomas 'Stonewall' Jackson (a Confederate General) thought it "The sweetest music I ever heard." Jubal 'Old Jube' Early (another Confederate General) said it "is never mistaken for the studied hurrahs of the Yankees...."
One Pennsylvanian infantryman remarked that "when they got close enough they screamed that woman like scream and with fixed bayonet on they came." At Hatcher's Run a Federal newspaperman reported it saying they charged "with the invariable yei, yei, yei of the Rebel (yell)." Other than the re-known 'Rebel Yell' there was a soldier in the 26th Georgia, James Ervin Spivey, who was famed in both the Army of Northern Virginia and the Army of the Potomac for his battle cry. "It was a kind of scream or low, like a terrible bull, with a kind of neigh mixed along with it, and it was nearly as loud as a steam whistle." He was known as the 'Georgia Bull', by his comrades, and 'Gordon's Bull', by the Federals. There is a book published in 1954, 'The Blazing Southwest' by Paul I Wellman, which claims that the 'Rebel Yell' was originally used in the 'Texas War of Independence' and was introduce into the Confederate army by the Texan troops. The book has a quotation to support this, writer unnamed, "it started with a low bass rumble and rose in a crescendo to a frenzied treble shriek which suggested a sort of berserk mania of blood lust." This is different from the quotations above, written by those at the time, nor with the sound bite from the newsreel that has come down to us. Douglass Southall Freeman stated "The rebel yell is pure legend. In Richmond it goes one way. In Atlanta you’ll hear another. In Birmingham still another." So its quite possible that different units and armies gave different versions of the 'Yell', this would solve its different descriptions. Its nothing after all for soldiers to shout when in battle so 'yelling's' nothing new its been going on for time immemorial.